Haidakhandi - Aarti & Bhajans | Sonu Nigam | OK Listen! The Ashram in Haidakhan was built by Haidakhan Babaji in the late 1970s. Situated in the Nainital district of Uttarakhand, the Ashram has scores of devotees from India and abroad and include such luminaries as the late Shammi Kapoor and Priyanka Chopra. Shri Shri 1008 Haidakhan Wale Babaji, who is worshipped simply as Babaji, mysteriously appeared in a cave in 1970 in the tiny hamlet of Haidakhan. Revered as an avatar of Lord Shiva, Babaji established ashrams in Haidakhan and Ranikhet initially and then across India. His teaching of ‘Truth, Simplicity, Love’, reverberated worldwide, culminating in Baba Haidakhan centres in the US, UK, Europe, Russia, Japan and Indonesia. Babaji took Samadhi in 1984. 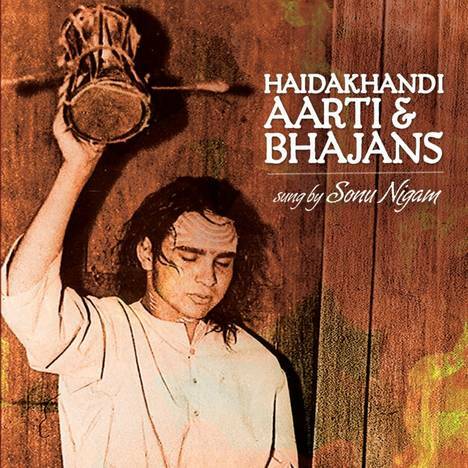 On this double album, Sonu Nigam has rendered the aartis and bhajans sung at the Haidakhan ashrams worldwide. It is his first full album of devotional songs in quite a while, though you’d never guess that when listening to his beautiful rendition of standards like the Gayatri Mantra, Maha Mrityunjay Mantra and the Hanuman Chalisa. Filled with devotional songs sung regularly in households and at festivals, this double album works for non devotees of the Ashram as well.